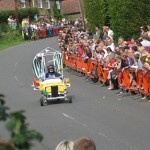 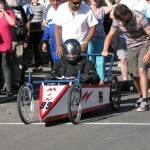 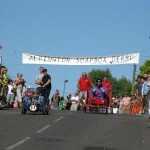 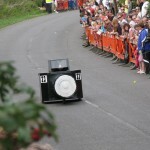 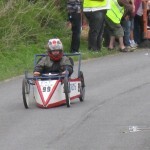 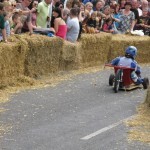 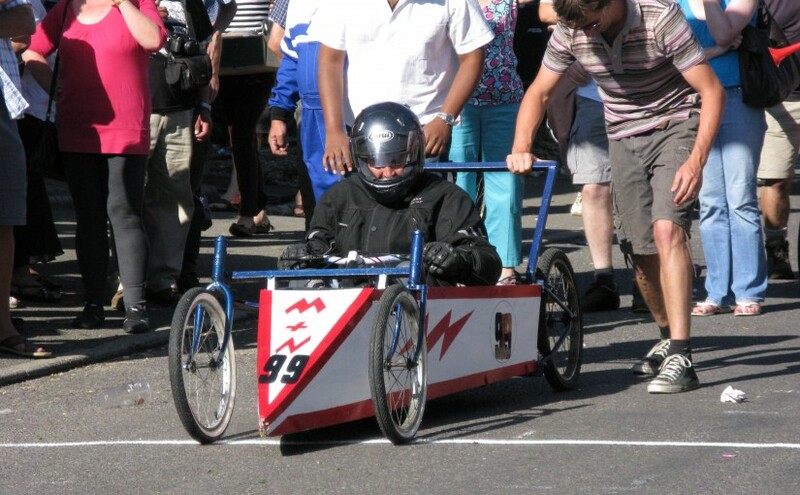 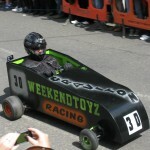 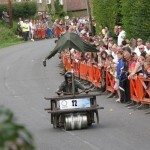 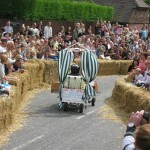 August Bank Holiday is the Bi-Annual date for the Aldington Soap Box Derby, when people of normally sound minds have a relapse and take on the daunting half mile dash down Forge Hill in what are more or less ‘Devil’s Go-Carts. 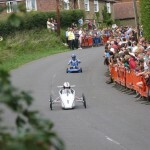 The start is outside the famous Walnut Tree Inn. 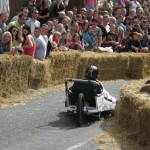 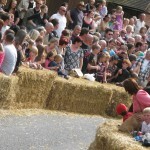 Up to 3.000 people mass the road side down the track, as many as six deep in places, to be on hand as the Soap Boxes of all size, shape and design tear down the mighty hill looking to remain on four wheels long enough to record a time at the second bus stop and stop their charging velocipede before it reaches the barrier of straw bales denoting the end of the closed road which makes up the race track. 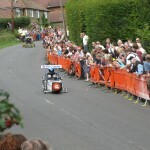 Popular viewing spot is the chicane, where the steering mechanism of the machine is tested to the full. 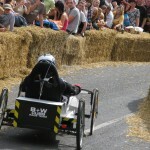 Crashes are common but injuries are few. 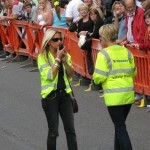 The crowd is safe as long as they obey the marshals and keep behind the barriers. 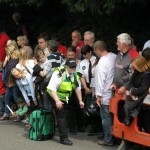 Good luck to all drivers – Have a great Race Day.